Embroidery has been BIG for awhile- Whether on a sleek bomber jacket, a pair of moto boots or some skinny jeans. I like the trend, but sometimes, it feels like brands over due this graphic stitch. They put embroidery pieces- just for trend's sake. That's why I adore Between Ten's version of the trend. Cheeky + cute- Micro Embroidery is more my style. 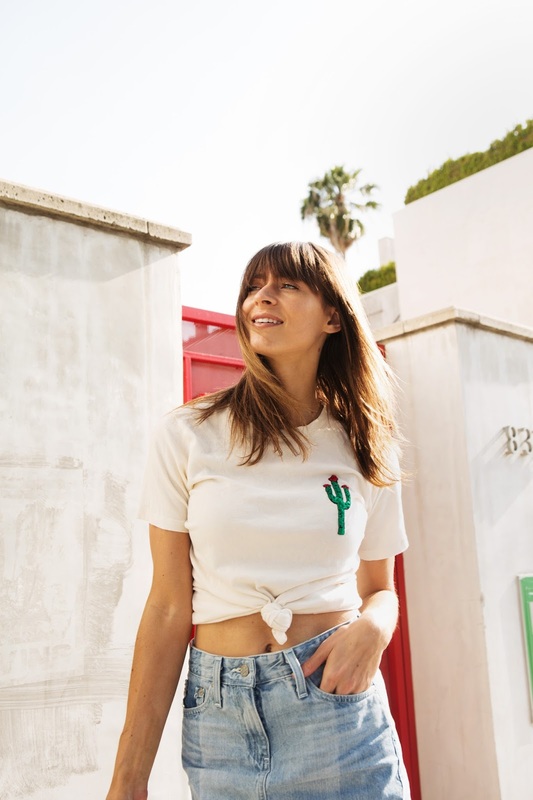 This cactus tee adds a twist to the cool girl white tee. And of course, I paired it with a piece from AG Jeans. Everyone in LA is obsessed with cactus too, and I have never seen one embroidery so playfully on a tee. Sometimes less is more sometimes. And with this trend, I think that's VERY true. 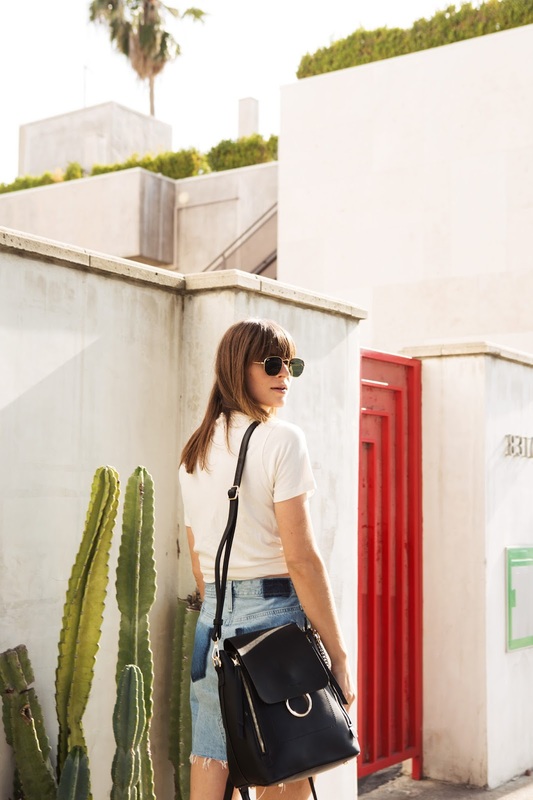 AG Jeans Sandy Skirt, Between Ten Cactus T-shrit, Topshop Boots, Melie Bianco Brooklyn Backpack, Ray Ban Sunglasses.